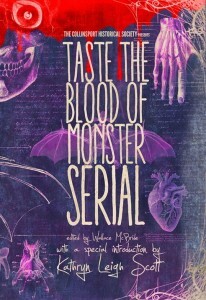 If you are the type who is amused when a mother gets an appendage chopped off and a little psychotic piece of snack food utters, “Hope you like lady fingers,” then this B-movie is for you. And yes, we are definitely the type. Definitely. The holidays can be a painful time for many. And this pain is only exacerbated when your baked goods go on killing rampages. 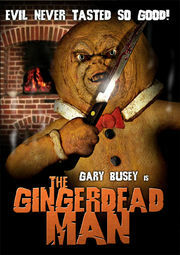 “The Gingerdead Man” (2005) film features Gary Busey as a reincarnated killer gingerbread man bent on destroying the family that sent him to the electric chair. A struggling bakery in Texas is having a bad year. 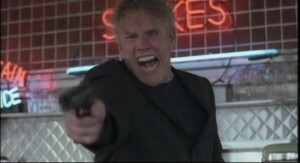 The owner and his son are murdered by the human Gary Busey. The bake shop is left to an alcoholic mother and a daughter (named Sara Leigh – get it?) who contemplates selling it to a successful competitor (Jimmy Dean – oh yeah, that’s funny too). Sales are down, and Jimmy Dean has put the pressure on. And just when it couldn’t get any worse, the murderer of the shop owner arises from a vat of dough in the shape of a cookie. And he’s pissed. Did that make any sense? Nope? It didn’t make sense to us either. Word of advice: don’t spend too much time worrying about how an executed serial killer comes back as a cookie. The filmmakers didn’t either. But no need to sweat the details. There are plenty of distractions, like dialogue referring to the murdering cookie as “the Killsbury Doughboy.” Oh geez. What a hoot. If the holidays invoke in you images of sweet baked goods, quality family time, and lots of blood, then head over to your local movie rental store and rent it today. Donut miss it. It’s a-glazing. 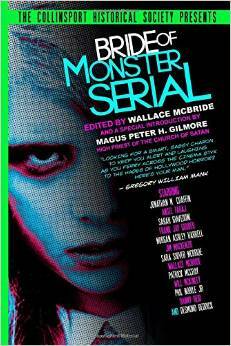 Gary Busey, Gingerdead Man, Horror, Jimmy Dean, movie.